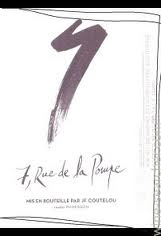 There are many great value wines from Languedoc-Roussillon , and this is one of them. Deservedly our wine of the month .Smooth,lush and fruity, displaying that burnt smokiness of Syrah. Opened up initially to a farmyard nose which soon settled down within 5 minutes of opening . Good freshness and balance , full of flavour and character . It is an organic and natural wine and was in perfect condition . Categories: news, wine of the month | Tags: Languedoc-Roussillon, syrah | Permalink.